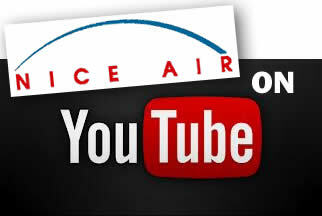 Nice Air is approved by The VA to give flight instruction to eligible veterans who served in the United States armed forces. In order to participate in this program, you must be enrolled in our FAA Approved 141 Flight Training Courses. You must hold at the time of enrollment, a private pilot's certificate and a Second Class Medical. The VA requires the veteran to have at least a Private Pilots License. The reason for this is quite simple. The VA will ONLY reimburse the veteran for "continuing vocational education", and there is not much one can do with a Private Pilots License for a vocation. The first program you will be enrolled in is the Instrument Rating Course. The Second course you will be enrolled in is the Commercial Pilot License Course. It is important that you understand that you are really enrolled first into the Commercial Pilot License Course. With this license, you can ultimately get paid for flying, hence achieving a vocation. One of the requirements for the Commercial Pilot is to be able to pass a Second Class Medical exam. This is very important. If you are not physically able to pass the Medical exam, you will not be eligible to receive benefits for flight training. You must have this Medical Certificate before flight training can begin. In order to be more qualified when seeking a job as a pilot, the VA will also reimburse veterans for the Instrument rating too, as most employers will require the rating. Here is how the VA program works for you once you are enrolled into the program. At the end of every month, you and one of our staff members will file a " Monthly Certification of Flight Training". This is where we will add up all the eligible times you have paid for. Upon submitting this document, the VA will reimburse you for 60% of the total you paid that month. For example, if you paid $1,000 for flight training in one month, the VA will send you $600 form your benefits. It usually takes about 2 weeks for them to send you the check. The VA will not reimburse veterans for the cost of books and materials or test fees. If you are eligible for educational assistance under this program, you should contact the Veterans Administration Office at (800) 827-1000; or if you are still on active duty, you may wish to contact your Base Education Officer. Once eligible for benefits under this program, the VA will issue a "Certificate of Eligibility" stating both your eligibility and monetary entitlement. 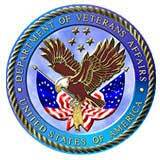 Below we have provided links to the VA's web site You may down load any of the required VA forms for flight training.